This is my Synchroblog for July. 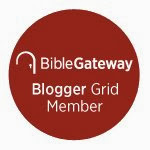 Synchroblog is a little community of Christian blogs that post on a particular subject each month. Unfortunately I've been bad and not done one of these since January! This month our topic is "Liberty." The bloggers who posted this time are listed at the bottom of this page. Please visit us all! We're an interesting and eclectic group! Maybe you've heard of the book The Year of Living Biblically, in which an agnostic New York reporter tries to, "follow every single rule in the Bible as literally as possible." He did it mainly for laughs at the expense of fundamentalists, but there are Christians in the world who do their best to live according to the Law of the Old Testament. And once upon a time I was one of them. Just a brief bit of background: As I've mentioned in past posts, my family was Catholic. Regrettably though, I didn't pick up much about Christianity there. Then my mother who had always been a seeker, deeply interested in God, left the Catholic Church to join a small, quasi-fundamentalist group called the Worldwide Church of God (or WCG for short), and a few years later I followed her. When I was 16 I'd had a very intense spiritual experience and I came away from it "on fire for God." I yearned to find a group that was passionately serious about following and obeying whatever he wanted humans to do, and if there is one thing that this church was, it was passionately serious, particularly about the Bible. We understood that Jesus' sacrifice on the cross had fulfilled the bloody sacrifices of bulls and goats the ancient Israelites observed. But that still left not only the 10 Commandments, which most Christians like, but hundreds of other statutes, ordinances, and laws about such things as fasting, what to eat, what to do about certain diseases, fabrics you can't wear, the problem of mildew, and how long a woman has to wait after having a baby before she can go back to the temple (or in our case, back to church). The Lord said to Moses, “Tell the Israelites, ‘Surely you must keep my Sabbaths, for it is a sign between me and you throughout your generations, that you may know that I am the Lord who sanctifies you. Many fundamentalist Churches think (or if you go back far enough, all protestant Churches thought) the Roman Catholic Church is a false, corrupted, pagan organization and the real followers of Jesus were little groups hiding in "the wilderness" through the years. My church believed that too but our contribution was the idea that you could tell the true Christians in history from not-so-true Christians by which ones had the sign of the 7th day Sabbath. If they also kept "God's Holy Days" (nicely summed up in the 23rd chapter of the Book of Leviticus), so much the better. Go out into the hill country and get branches from different kinds of olive trees. Get branches from myrtle trees, palm trees, and shade trees. Use the branches to make temporary shelters. Do what the law says! I understand that Orthodox Jews in New York still faithfully build these shelters on fire escapes and places like that every Fall. But for us? Nah! The leafy shelters were interpreted into nice hotel rooms (without ever using the pagan I-word, of course). We diligently ate kosher, although it was our own version: the story was that supposedly a rabbi could "bless" almost anything and declare it kosher, so you couldn't trust their kosher. We applied Leviticus 11 (where the kosher laws are) our way. On another subject, no intimate relations during your wife's period (Leviticus 20.18). And if she ever gave birth to a boy she couldn't go back to church for 40 days -- twice that for a baby girl (Leviticus 12). We observed a particularly strict interpretation of the tithing (old English for "tenth") laws, largely based on some things the Jewish historian Josephus said (Antiquities 4.205 and 4.240 - 243) and so gave 30% of our income: 10% for the church, 10% so we could attend the Feast of Tabernacles (having 10% of your income to blow in 7 days at some vacation spot was pretty cool, I must admit), and 10% for the poor, widows and orphans. A man might take a cover off a well or dig a hole and not cover it. If another man’s animal comes and falls into that hole, the man who owns the hole is guilty. Now you might think that living with all these strictures would be unbearable, especially for a 20th century (then) american with our individualism deeply ground into us, and it could rankle at times. But really, in a way, it was rather comforting, because you always knew what you were expected to do. I can see the attraction of living by an expanded Talmud, as the Jewish tradition is. Besides, these were Bible rules we were keeping! You weren't supposed to smoke but we had nothing against "drinkin', dancin', and goin' to the movie show" that old-time puritans used to inveigh against. Plus I was among people who, for the most part, were zealously doing their best to obey and serve God to the best of their understanding. Since we were a small and non-mainstream group we depended on each other, which gave it a warm family atmosphere. For the most part my experience living this way was pretty benign, but I can't and won't pretend that that was true for everybody. The full-throated legalism we espoused hurt a lot of good people. Although the WCG loosened up later on, for many years we broke up second marriages and told the wives to go back to their first husbands. People went bankrupt or just barely scraped by under the weight of those 3 tithes. Specious interpretations of the Book of Genesis bred a strain of racism in the church, and while we did have non-white ministers and administrators interracial marriage was forbidden. Worse in a way were the intense feelings of guilt so many had. Because, after all, "The heart is deceitful above all things, And desperately wicked; Who can know it?" (Prophecy of Jeremiah 17.9, KJV). Although we taught that God would forgive sins we also insisted that you had to obey Old Testament Law to please God. A christian that didn't was a false christian. How could you know, with your evil, desperately wicked heart, that you had done enough? If you hadn't, no matter how sincere you may have been, your only destination was The Lake of Fire (Book of Revelation 20.15). would toss me into a Lake of Fire if he could possibly avoid it. God has a bias, I believe. But I know that there are thousands, some very close to me, who were scared deeply by this church and cannot get free from their chains of guilt. Eventually, I realized that I had let other people do my thinking for me. I started over from the beginning, trying to read the scriptures with no preconceived notions. What were the Gospels and the Apostles really trying to say? There were too many things in the theology is learned that didn't make sense to me anymore, among them being how the Law, given by God, relates to the Messiah (who is God as it turns out) and has the perfect right to revamp it as he pleases. Even abolishing it entirely, as a law, and replacing it with a law 'placed in our minds and written on our hearts,' (Hebrews 8). What I found turned out to be ordinary, everyday, garden-variety Christianity -- which was also some of the most explosive, counter-cultural dynamite the world has ever seen. "Love, then do what you will," said St. Augustine. I don't live by the Law of Moses anymore. I am free of it. Now I, "peer into the perfect law of liberty and fix my attention there," (James 1.25) the Law of love.